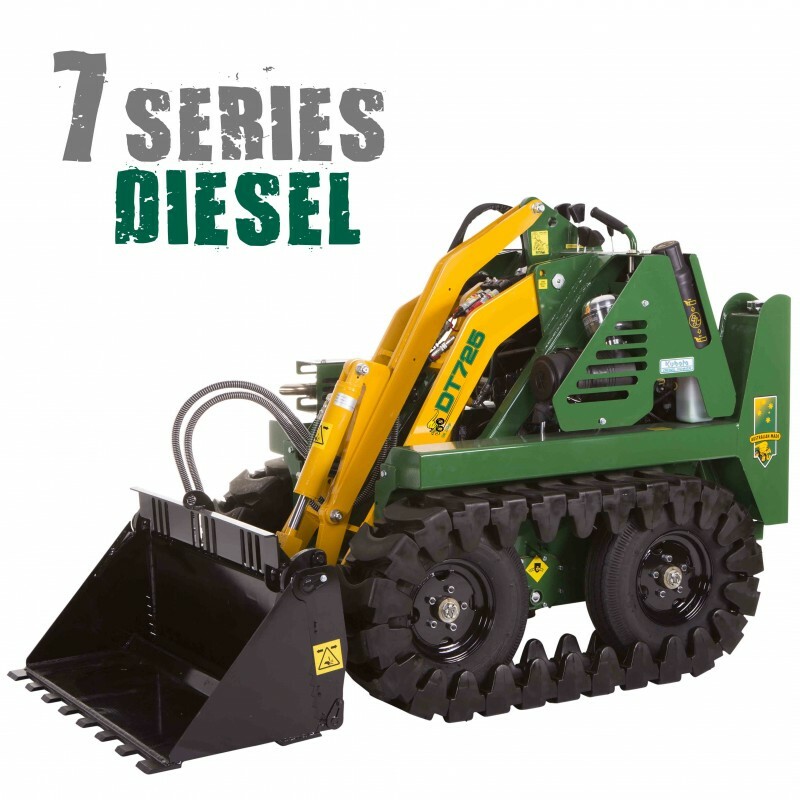 The 835 Series diesel driven loader is the largest and most powerful Kanga and offers an edge in power, speed, durability, ease of use, economy and safety. The 8 Series offers increased lift capacity and longer reach and is best suited for hard working attachments and tough site conditions. The finger-tip 2 speed transmission allows the operator to safely and efficiently navigate over varying conditions. The speed selection can shift up and down giving the operator the ability to choose the right speed and or power to suit the work load and terrain. Comes in both wheeled and track option. 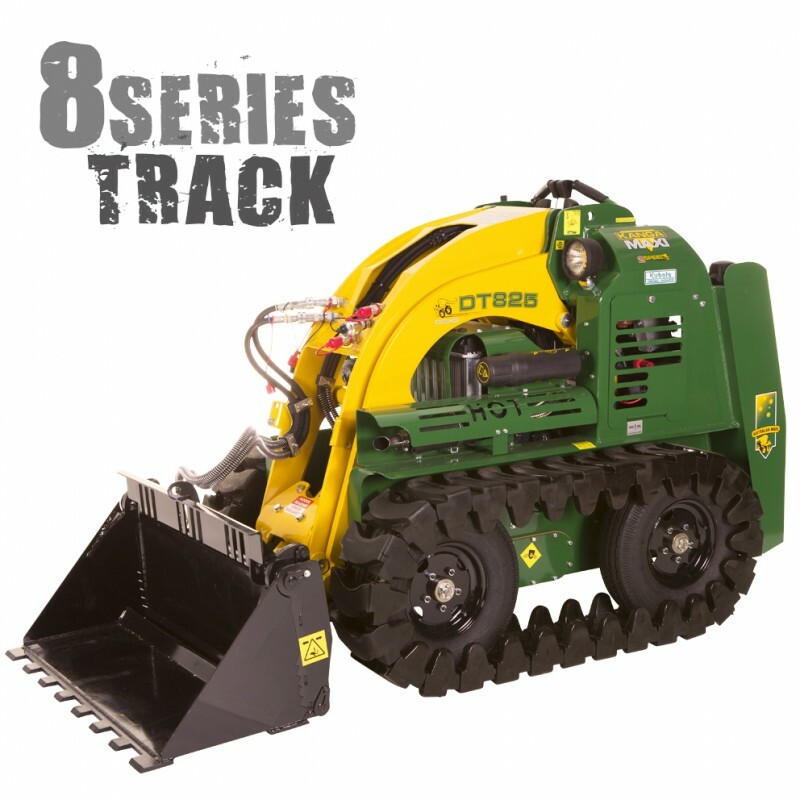 The DT835 is fitted with Tracks for increased stability and traction. The unique tyre over track system is ideal in sandy and muddy conditions offering greater traction and also offers a smooth ride on undulating or rocky cover.